About | Tacoma Plumbing and Heating Inc.
Tacoma Plumbing & Heating Inc. designs, builds, installs, and maintains building systems for health care, industrial, commercial, residential, and institutional customers. Since shifting our focus to Design-Build construction twenty-five years ago, we have participated in many successful design-build projects in the Puget Sound Area. 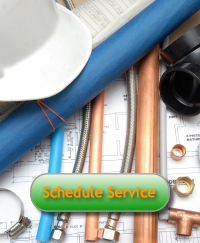 These projects are successful as a result our “TEAM” approach that Tacoma Plumbing & Heating Inc. brings to each project. The Owner, Architect, Structural and Civil Engineers, and key Mechanical & Electrical subcontractors, work to create a functional design and mutually beneficial approach to each project. We pride ourselves on meeting schedules for both design and construction phases of the project, striving to work with all parties involved to make each project a success. Since its foundation by Allen Stakset in 1968, Tacoma Plumbing & Heating Inc. has grown from its modest beginnings into a leading full service, mechanical contracting firm. In 1976, Allen’s son, Todd Stakset, became an active participant in all aspects of the business and has now taken on ownership of the company. Todd’s “hands on” policy of involvement assures customer satisfaction, fair price, and an excellent work performance in a favorable time frame. Our in-house expertise, state-of-the-art BIM technology, flexibility, and innovative approach enable us to deliver high-quality services at an exceptional value. We continue to administer the finest and advanced practices to remain the leader of our industry. Customer satisfaction drives everything we do. Tacoma Plumbing & Heating, Inc. enjoys building a good working relationship with their general contractors and strives to work within the “TEAM” concept for well-coordinated and successful projects. Our leadership team applies integrity, teamwork, flexibility and professionalism to each project to provide unified assistance in the interest of satisfied customers. At Tacoma Plumbing & Heating, client relationships are the foundation of our success.